Line drawings buried in the latest iOS 12 beta's PassKitUIFoundation, discovered by iOS developer and 9to5Mac contributor Guilherme Rambo, indicate the general design of "iPhone X Plus," as well as a "square and weird" 2018 iPad Pro. 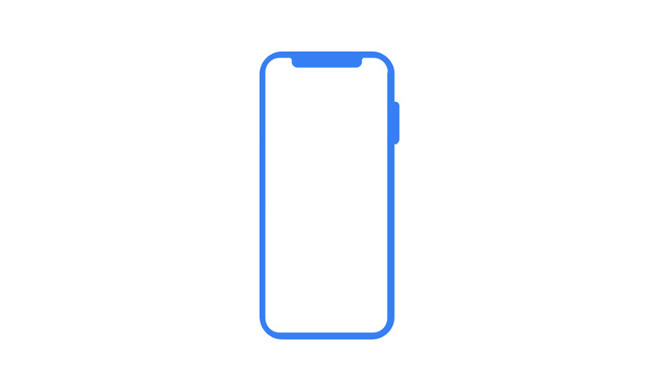 While not highly detailed schematics, the image appears to indicate that a new, larger "iPhone X Plus" is indeed being prepared for launch with a taller and slightly wider screen than the original iPhone X. The telltale True Depth camera "notch" remains, though the cutout's silhouette features a tweaked design compared to Apple's iPhone X. Specifically, the "iPhone X Plus" notch terminates in a right angle, akin to the actual iPhone X design that debuted last fall. In addition to iPhone, a glyph indicating a bezel-less iPad model was also found in the firmware. Oddly rendered as a square, the icon is believed to be designed for quick and easy graphical manipulation and is not thought of as evidence of a square-shaped iPad. The glyphs were found in PassKitUIFoundation, the iOS wallet user interface. Icons in the repository are used in Wallet animations like those seen when triggering Apple Pay on iPhone. It's unclear whether or not either glyph indicates a final product design, but widespread rumors suggest Apple is working on both a larger iPhone X model and a redesigned iPad that replaces the Touch ID home button with Face ID technology. Earlier beta snooping unearthed an iPad line drawing similar to the iPhone version found today, showing a bezel-free tablet without Apple's trademark home button. Notably, the icon failed to include a Face ID notch, suggesting the specialized biometric feature will be integrated into a side bezel. Apple is expected to unveil the next generation of iPhones in September. Along with a refreshed 5.8-inch iPhone X, the company is anticipated to introduce a 6.5-inch handset with OLED display and a 6.1-inch model that will use traditional LCD tech.